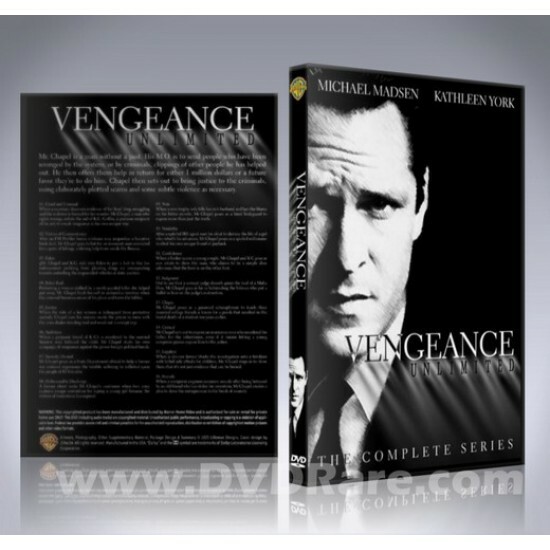 We are proud to present the innovative crime-drama show 'Vengeance Unlimited' on DVD. 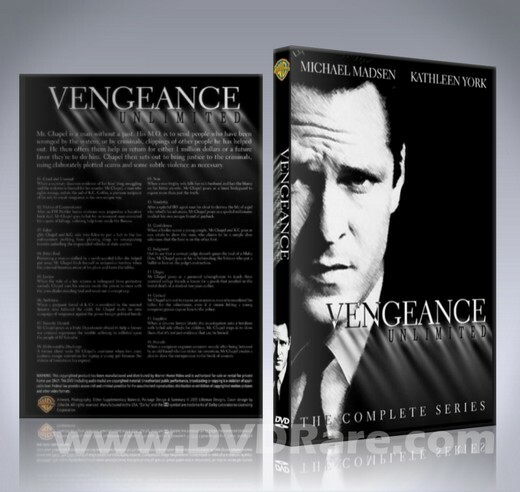 This DVD Set contains every episode of Vengeance Unlimited ever made, and it's exclusively available at DVDRare.com for a limited time only! 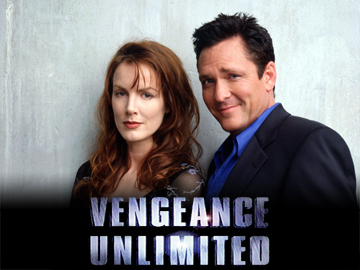 Vengeance Unlimited is a TV series broadcasted during 1998-1999 on ABC which lasted for just one season of sixteen episodes. The show starred Michael Madsen as Mr. Chapel, a mysterious and pragmatic character keen on serving justice to those who have been ignored by the law (similar to The Equalizer). The show originally aired Thursdays at 8:00 pm up against NBC's Top 5 hits Friends and Jesse. When Mr. Chapel takes a case, his demand is simple. Either pay a very high fee, $1 million, or promise to do him a favor at some time in the future whatever, whenever and wherever he needs you then your debt will be paid in full. In the series pilot, it becomes clear that Mr. Chapel has been doing this for quite some time, as he calls in more than one such favor to help his clients. A running joke throughout the series came whenever one of Mr. Chapel's former clients paid their debt. Mr. Chapel would say, "We're even. I'm out of your life. Forever." The client would invariably respond, "Thank God!" Chapel makes few promises. Those that he does make, he will fulfill (or die trying). On one occasion, he handcuffs one man in a car, with a dump truck hurtling toward it; when the man gives in, Chapel dives into the car to unlock the cuffs and pull the man to safety at the last instant. All DVDs are presented in full screen, commercial free and unedited. Exactly the same as it was shown on TV!